As we begin to close out this amazing year of growth (ubiquity?) of social media in 2011, it is time to take a look back and try to grasp at the true significance social media plays in our daily lives. Years ago, the masses were silent. As I often present in my speeches, up until just a little more than two decades ago mass communication was one way, and information was only served through television, radio and print. Today, with the vastness of the Internet and the rise of mobile technology, the masses have suddenly found themselves with virtual megaphones that are heard throughout the world. Social media has given people the freedom to speak, and in some instances has become a catalyst in helping to potentially change the course of history. While some have downplayed the importance of social media in the Egypt Revolution, this post was one of the factors that led to the first massive protest in Tahrir Square. The government, which then had control over traditional media, shut down phone and Internet networks to keep a semblance of control, but the determined activists used everything from dial-up connections to proxy servers in order to stay connected. #jan25 became one of the most famous Twitter hashtags in Egypt’s history. Through Facebook, Twitter, and YouTube, and the world watched as history unfolded in real-time. In March 11, Japan was rocked by an 8.9 magnitude quake, followed by one of the most devastating tsunamis in history – and then a meltdown at a nuclear power plant which Japan is still trying to deal with. With telecommunications immediately after the tsunami down, most people relied on the Internet through their mobile phones to connect with worried relatives, as well as to spread the word about the state of hard-hit areas. The world monitored the calamity online. YouTube records more than 15,000 and earthquake and tsunami video uploads, each showing the magnitude of the disaster and relaying individual fears and desperation. Google created a web application called “Person Finder” in order to help families and victims connect. Twitter usage spiked – #Fukushima, #Sendai, #Japan and Text REDCROSS trended, as Netizens rallied for aid, attaching #prayforjapan in every tweet. Social media became a source of information, aid, and comfort. With its recent elections, Tunisia finally found its voice after more than 20 years of silence under an oppressive regime. And all this happened within several months of its first public demonstrations. Until recently, social media was a political taboo – the regime of former president Zine el-Abidine blocked sites and platforms such as Facebook, Twitter, and YouTube. Blogs were monitored, and those who wrote political commentaries were harassed. These censorships only added fuel to the fire as citizens fought back and found ways to remain online. During the chain of revolutions that swept Arab nations, social networks raised awareness and activism among Tunisians, giving them a venue to discuss political issues and push for freedom of speech. In the days after the resignation of Zine el-Abidine, the censorship on social media was lifted, and more than 2,000 tweets were posted daily. Almost 200 printed publications have been given licenses for production. Bloggers, journalists, and citizens alike have been ensured of their freedom of expression without censorship or penalty. Social media has aided in opening the doors of a more global Tunisia. What started out as a night-out-for-a-cause among “tweeps” (Twitter people) in London soon became a worldwide Twitter phenomenon known as Twestival. Twestival, short for “Twitter-Festival”, was the brainchild of Amanda Rose, a free agent practicing PR and events management, who has a great interest in social media and an even greater love for causes. From an event that supported a local non-profit organization for the homeless, Amanda and her team decided to make something bigger. The idea to mount simultaneous Twestivals around the world was born. The project quickly took a life of its own. Twestival Global was launched in January 2009, where 202 cities hosted charity events that raised $250,000 for water-deprived areas of Ethiopia. In 2010, the worldwide twitter event raised more than $450,000 for Concern Worldwide, a non-profit organization that fights hunger and sickness in 25 different nations. In 2011, Twestival Global transformed into Twestival Local, urging volunteers from around the world to support charities in their own countries. One-hundred and fifty cities participated in the event, including Manila, which supported JeepneED, a non-profit group that aims to build a Jeepney powered by used vegetable oil that would become a “traveling classroom” containing computers, books and other educational tools. Its aim is to bring education to far-flung provinces and municipalities in the Philippines. Twestival Local 2011 was able to raise $565,000 for local charities around the world – all through the power of social media. The people of South East Asian nations have a great fascination for social media and content sharing. 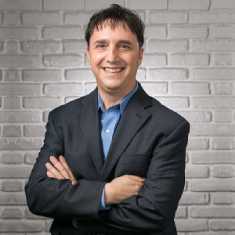 Armed with this knowledge, Professor Micheal Netzley of the Singapore Management University fully utilized social media in his online communications classes. He urged students to explore blogging platforms and social networks. He used Twitter as a venue to share with his students links to topics relevant to their lectures, as well as to remind them of upcoming deadlines and in-class activities. One class project that grew a great international fanbase and earned props from professional companies, news and advertising agencies was Digital Media Asia Wiki; an open online resource that presents up-to-date information on online trends and movements in the digital media landscape. The project was later on reviewed by The New York Times, and garnered some of Netzley’s students offers for internships in Ogilvy Asia. Not only has social media kept open communication lines between Netzley and his students, but it also has given them the edge when it comes to online competency and relationship-building. With the birth of social media, connectivity has become instantaneous. Real-time communication and social will has turned into the masses’ most powerful weapon for social change that can topple governments and heal nations. It seems that social media has transcended its initial purpose of simply connecting friends; it has become the doorway to the world. As people realize that the voice of one can reach billions, social media will go on reinventing itself into a faster, smarter, and sleeker mode of communication that will continue to build virtual bridges everywhere – and help societies deal with challenges in new and more communal ways. What are your favorite examples of how social media has been a catalyst for social change? Using the term “catalyst” is appropriate for the effect social media had, used as a tool, in the revolutions. Catalysts by definition in chemistry change the rate of a reaction (usually speeding it). There is no doubt that the rapid spread of information via social media is affecting many group activities. We do not know in which cases the rapid dissemination of information caused the information to reach the “critical mass” of people needed for the event to be successful, so it may be playing as important a part as you believe. This does not negate the importance of the underlying factors, as Mr. Falchetto is claiming; it may make the difference in the path/pattern of the movement. So many US agencies, think tanks, etc. knew exactly what they were doing when they allegedly trained young visitors in these skills. I am following the use of social media for emergency/natural hazard situations closely for my work. We are going to need to develop some measuring tools for using this information effectively–I would love to see it improve our ability to save lives during disasters (and perhaps even to limit them). The revolution started with a Facebook post? Really? This is both an ignorant and insulting assertion. Ignorant because it downplays the huge socio economic forces at play in Egypt at the time and insulting because it means a simple FB update was a factor in moving millions of Egyptians into the streets? Having worked as a journalist in Egypt for years and involved with many of the decision makers both in the opposition and the government, I can tell you social media is a tool, like mobile phones and banners. In fact a recent study shows that social media hinders revolutions. What brought Mubarak down was his mistake of shutting down the internet and thus pushing people into the streets. Stop the spin, social media isn’t a catalyst for change. Change happens regardless. I think you are being a bit harsh @johnfalchetto:disqus. Although I may not go quite so far as Neal in terms of giving credit to social media for the actual changes re: the Arab Awakening, I would say they are an excellent organizing tool and information sharing platform from those who are actually on the ground to the wider, international audience. Thank you for your comment Judy. Perhaps I should have reworded that sentence on Egypt, but as the title indicates I only mentioned social media as the “catalyst” for change, not giving credit to it for the actual changes. As you pointed out, and as it was pointed out in the article I referenced, the likes of Facebook and Twitter definitely WERE used as organizational tools and sharing platforms. I am also grateful for you adding links to give further perspectives on the issue. That must have been a fascinating session at the University of Toronto… As you know this blog doesn’t really dwell on political issues, but I thought it was a good time in history to take a short look back at the role that social media has played in such little time. You’re welcome, Neal. If you want a real-time view of things happening in the Middle East, Circle Jillian C. York on Google+. First of all, thank you for visiting my blog and spending time to comment about my blog post. It are comments like yours that keep these conversations alive well after the content has been published – and divergent opinions which stimulate ideas and deeper understanding of the issues. 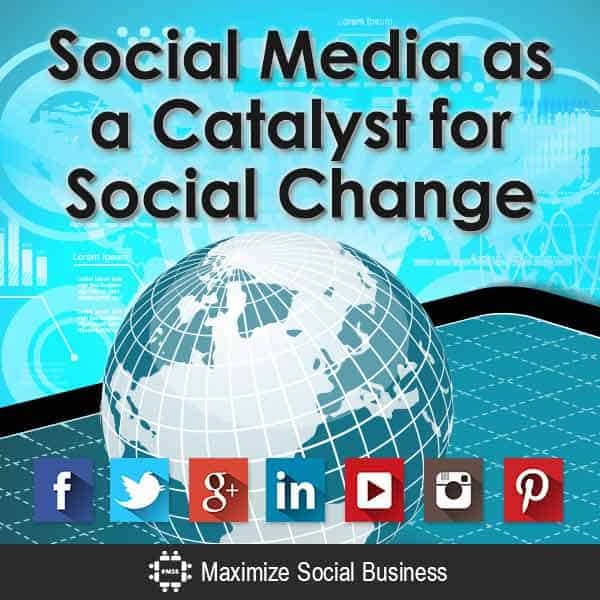 The intent of my blog post was to look at ways in which social media has been a “catalyst” for social change. A catalyst is something that merely precipitates an event or change. In each of the examples, it is clear that social media was a catalyst – however, it is hard to quantify how much of a catalyst it was, but it was another tool that could be, and was used, in each case to some extent that helped precipitate events. In that I agree with you that it was a tool, but that tool is becoming more of a catalyst as more of us become heavier uses of social media and as social media-friendly cell phones increase. It is another way to “get the word out” through text, images, and video, and once its “out” it can be spread quickly. Surely you can’t deny this trend in society. The five million Facebook accounts in Egypt make it the second most popular site in the country. YouTube is the third most visited site. Whereas protestors used Facebook to organize, set dates, and “peercast,” that is, share mobile pictures and video with peers Twitter became the social media backbone of the movement’s day-to-day machinations. Can we say that social media was not a potential catalyst for social change there in light of this? Is it ignorant and insulting of me to refer to this? Or is it ignorant and insulting to ignore the source of information and completely ignore it in the discussion? If you feel very strong about the subject, which you apparently do, I would welcome your perspective and your guest blog post on my blog to convince others to “stop the spin.” I do not disagree with you that some put too much emphasis on the role of social media in certain recent events, but I do not feel that my article was representative of that – and I tried my best to offer an objective snapshot. I now offer you the podium to speak to my audience. Social media has definitely been a catalyst or an accelerator for movements, causes and events. Now that SM is finding its footing, we should start witnessing/participating in the next phase of this communications revolution. What’s next? Thanks for the comment Joel – I personally believe we have a lot farther to go with social media, as more and more of us become heavier users of it, the social media websites themselves enhance their functionality, and cell phones allow us to do more with less. The full potential for social media has not even closely permeated global society.